HONG KONG, CHINA – JULY 09:Student activist, Figo Chan joins the protest (M).Protesters gather for the inaugural “China Human Rights Lawyers’ Day” to be commemorated round the world. The day marks the anniversary 2 years ago of the mass arrests of human rights lawyers and their assistants across China. 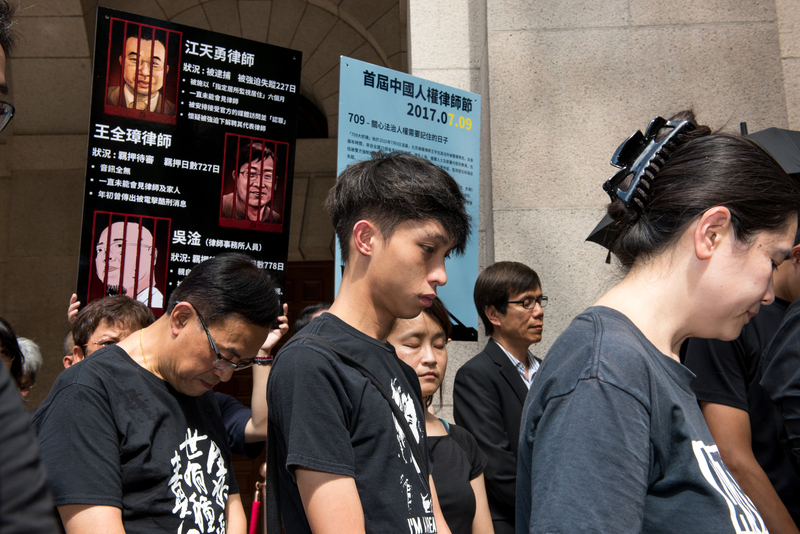 The group gathers outside the Final Court of Appeal in Central, Hong Kong, Hong Kong SAR, China on July 9th, 2017.